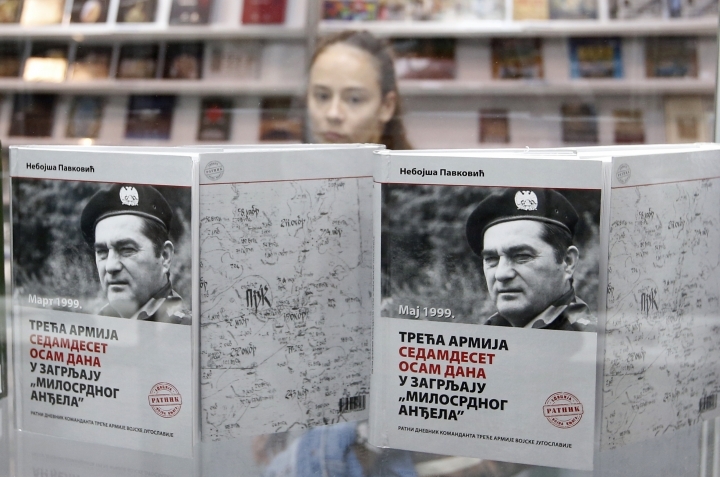 BELGRADE, Serbia — Serbia's defense ministry on Wednesday promoted a book by a former army chief of staff who is serving a 22-year prison sentence for war crimes committed by Serbian troops in Kosovo during the late 1990s. A video recording allowed former Gen. Nebojsa Pavkovic to address participants at a ministry ceremony from his prison cell in Finland. He said his book, parts of a diary he kept during the war in Kosovo, represents "a heroic testimony" of Serbia's defense from "NATO aggression." Kosovo declared independence from Serbia in 2008. Belgrade doesn't recognize its former province as a country, and continued tensions between the two has been an obstacle in the path to European Union membership. The former army chief's published diary is titled "Merciful Angel's Embrace for 78 Days", which is based on Serbian propaganda that falsely claimed NATO gave the Kosovo campaign the code name "Merciful Angel."